Patsy Davis, nee Turner, age 77 passed away peacefully on January 29, 2019, with her family by her side in Napa, California. Patsy was born to Jewell and Claudia Turner in Hope, Arkansas on March 26, 1941. She moved to California in first grade with her family. She attended local schools in Yountville, Carneros and graduated from Napa High School in 1959 as a proud Indian. Patsy raised two daughters, Shelley Dowdle (Andy) and Lisa Vallerga (John) and was blessed with four wonderful grandchildren whom she loved with all of her heart: Andrew and Justin Dowdle and Antonio and Madison Vallerga. In her early years she completed cosmetology school and obtained her license, but went on to work at the Elks Lodge, Tonelli’s Restaurant as well as Elmer’s Pancake House where she made many lifelong friends. She met and then later married James Davis in 1980. She retired in 1991 and that is when she and James began their many years of traveling from Alaska and Canada to the southern borders of California ,Arizona and into Mexico. 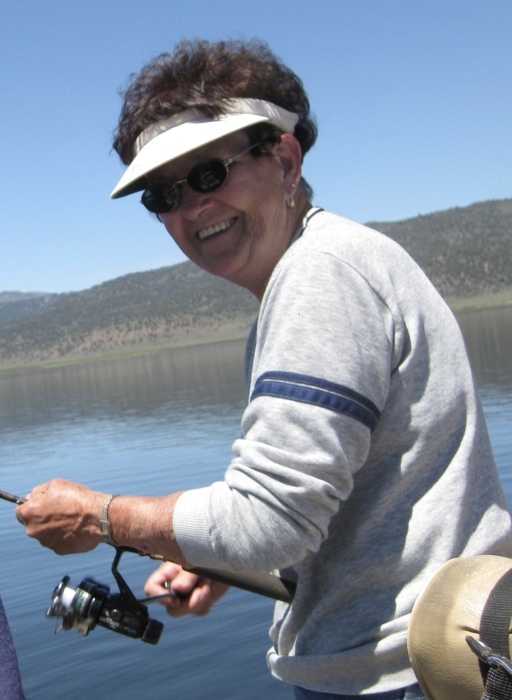 Patsy loved the outdoors going on many trips to the coast, as well as fishing and hunting with her husband, brother Darrell (Sue), her girls and their families as well as other long-time friends and all the new ones they made along the way. Patsy was predeceased by her husband James in 2010. She is survived by her daughters; Shelley Dowdle (Andy), Lisa Vallerga (John). Grandchildren; Andrew Dowdle, Justin Dowdle, Antonio Vallerga & Madison Vallerga. Siblings; Frances Cody, W. Darrell Turner (Sue) as well as numerous nieces and nephews. A service will be held Friday, March 15, 2019 at 11 a.m. at Tulocay Chapel. Donors wishing to make a donation in her memory may do so to a charity of their choice. Condolences and words of sympathy may be sent to the family online at www.tulocaycemetery.org.